This comes with the warmest wishes for Christmas and the New Year. I am writing near Pooley Bridge. The sheep are hunched against the rain under a low grey sky, the river is high, and the banks deep in dank brown leaves, but the limestone walls are sparkling. And through the surrounding thousand square miles of this constituency run the cleanest rivers, under the darkest night skies, in England. You can see the same sparkle in the masonry of Hadrian’s Wall, and in the lime caught in the roots of ash trees, first pollarded by the Vikings, and in a hundred fortified pele towers buried in farmhouse walls. The Borderlands deal, which we secured in the October budget, is an opportunity to build on all this unique landscape and history. It is a chance to invest in the architecture and the essence of our market towns, instead of apeing anonymous mini-cities; to defend and celebrate small family farms for their cultural and social values; to really promote what it unique about our local produce; and to invest much more in higher-value tourism. It is also an opportunity to support all that is already so impressive from our Community Hospitals, to the Scouts, from our local radio stations, to Mountain Rescue, Young Farmers’ Clubs, and local agricultural shows. We continue to excel in skills education from Appleby Heritage Centre, to Blencathra Field Studies Centre and Newton Rigg, and in the apprenticeships supported by companies such as Cranstons and Atkinsons builders. And I am really pleased that we now have one of the very lowest unemployment rates in Britain. But all of this approach to our local strengths and assets must be powered by new ideas from elsewhere. Ninety per cent of people in our villages were not born in our villages. Perhaps a quarter of our population has worked abroad at some time in their life. We have moved from a world of large employers to a world where ninety per cent of us work for businesses employing less than ten people, and a quarter are self-employed. 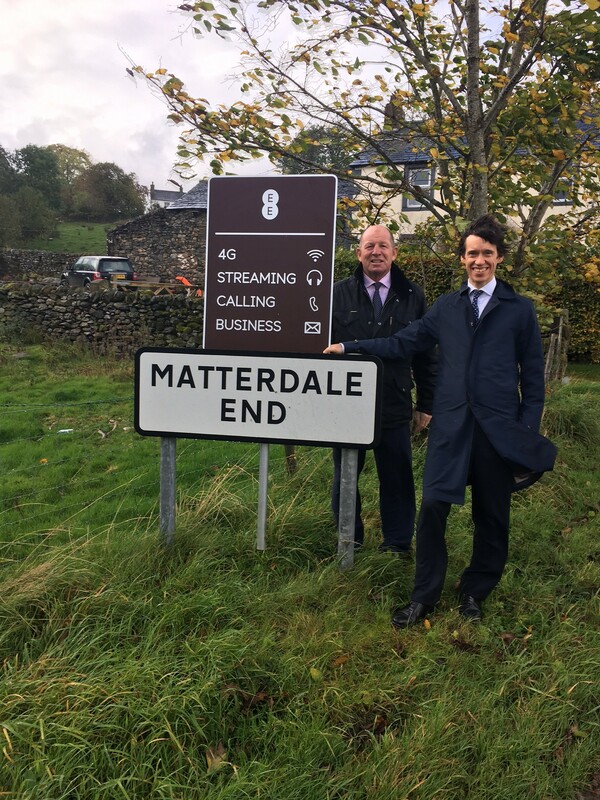 This means that all the work we have done on superfast broadband since I was elected – bringing £40 million pounds of funding into Cumbria, and delivering to ninety per cent of homes – must be only the beginning. This year, therefore, we have been pushing new mobile masts into the back-end of Ullswater, and deeper into the Howgills. We have been trialling new community approaches to microwave technology on the East Fellside. We are exploring how to allow the elderly in remote houses to receive medical support, or to allow children to access lessons from around the world. And we are developing increasing numbers of businesses in new technology – in the Gilwilly Estate for example Atlantic Geomatics are using drones for high-resolution land mapping, or in Flusco Typhon Systems – conceived in Africa, headquartered now in Cumbria – are using Cumbrian LEDs to revolutionise water purification across Europe. And our environment is changing as fast as our technology. We face renewed threats from diseases – such as endemic bovine TB– which we must control if we are to save not just our herds and farms, but the entire rural economy that they support. And our weather is changing. Storm Desmond poured the highest rainfall ever recorded onto some of the steepest, wildest, quickest flooding catchments in the country. So we have to transform the way we respond to floods. Much of this year has, therefore, been about investing tens of millions of pounds of new money in bridge and road repairs, and in ensuring that most of those who were flooded have resilience measures such as house flood gates or pumps installed. But it also about using the latest computers to completely re-examine our flood models from the source to the sea. Cumbria is leading natural flood management schemes on the uplands – to slow the flow. 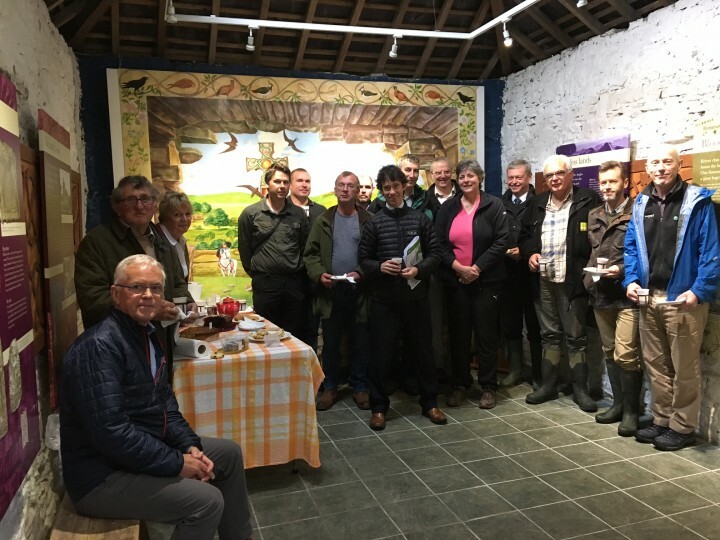 We are involving communities ever more closely in design – ensuring that engineers meet villages again and again to explain every detail of proposals – and absorb both the frustrations and the knowledge of communities. And we will invest about £70 million pounds over the next few years bringing these new flood schemes to fruition. Finally, we have just heard that my entirely innocent Wigton constituent John Armstrong – who I was able to visit when he was imprisoned in India in 2013 – has at long last been released alongside his fellow members of the ‘Chennai 6′ group. We should all pay tribute to his parents and sister, for their effective campaigning, their empathy, and their grace throughout what has been the most testing time imaginable. Their dedication symbolises so much of what Christmas should mean – the resilient power of our families, our patient care for one another, and our faith in a better world.